Affordable health insurance is something that countless Americans search for every day, especially when they aren’t eligible for subsidies or exemptions. Despite the fact that a plethora of government programs (including the Affordable Care Act) have attempted to reduce the number of the uninsured, statistics are still startling. Of course, healthcare is particularly expensive in the United States, in part because it is the country of major medical and technological breakthroughs. Healthcare professionals, physicians and researchers constantly provide the best services for their patients and while in an ideal world, such goals would be commendable, they really don’t do much for the average- and low-income Americans who can’t afford to pay their mandatory contributions. Take into account that the average emergency room visit costs approximately $700 (excluding any types of tests, hospitalization or imaging procedures). Now consider 10 times that sum for a broken leg. Eleven times as much for childbirth. 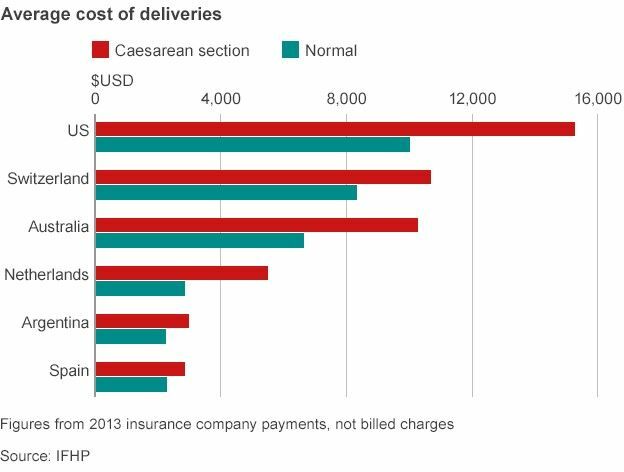 $10,000 for a caesarean-section delivery and three times as much for a hip replacement. Dental healthcare is no exception. Routine medical visits alone are absurdly expensive. As compared to other world countries, a routine doctor’s visit costs approximately three-times as much as it would in Canada while an average Computer-Tomography is five-times more expensive than in Canada. Good health alone isn’t enough to prevent Americans from seeking the affordable health insurance plans they require. It’s essential to plan ahead for bad days and since it’s impossible to know when illness can strike, a well-prepared healthcare plan is your family’s best bet. Leaving aside the legal aspects surrounding health insurance coverage, going without health insurance is not an option and it’s essential to understand this. Yet when assessing one’s personal finances, health insurance may often fall lower and lower on the list of priorities. Take a moment to consider your most valuable assets: strength, intelligence, imagination, readiness to work, personal and professional aptitudes. While any such asset is a key component of your everyday life, personal health trumps everything. It is a person’s most valuable asset since it enables you to perform the tasks which end up earning your pay checks. This is where a clever health insurance plan comes in. Health insurance allows you to continue enjoying your life and your health without fearing unwanted and unforeseen financial burdens. Individual and family healthcare plans guarantee that neither you nor your family will be brought down by life’s unpredictable moments. When you invest in a sound health insurance plan, you are effectively investing in life quality. It is not only a preventive measure. Health insurance helps protect your family from massive financial losses much the same way that other types of insurance does. Peace of mind is priceless and fearing that, one day, work accidents or sudden illnesses could potentially leave you and your family bankrupt is no way to live. Statistics show that United States residents are having a particularly hard time finding the healthcare coverage they so dearly require. Until recently, CDC data revealed that a whopping 44.3 million Americans under the age of 65 were uninsured (16.6%) while 6.5% of all children under the age of 18 were also uninsured. Another alarming statistic reflected the number of US residents unable to obtain required medical care because of its high cost: 5.9 percent. The Affordable Care Act seems to have improved on these statistics, a Gallup survey reveals. In the first quarter of 2015, the rate of uninsured US residents decreased to 11.9%, its lowest rate since 2008. But even if some improvements are noticeable, healthcare coverage is nowhere near where it should be. No young, healthy adult expects to become ill at any point of his or her life. However, statistics show that between the ages of 25 and 44, you have a 1 in 5 chance of landing in the ER. 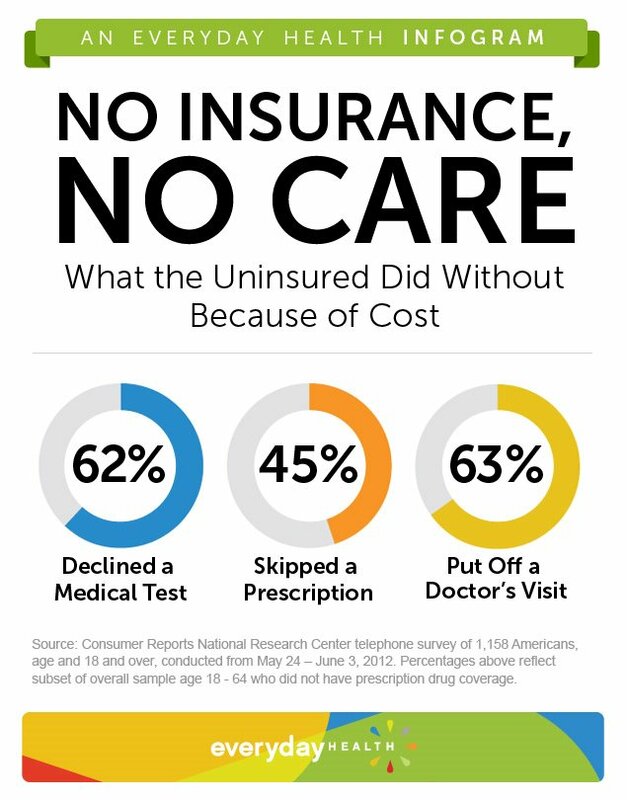 Being uninsured will surely destabilize you financially, especially since 1 in 4 uninsured US residents completely lose their savings to unexpected medical bills. Ponder this for a second: losing your savings to medical bills represents the number one cause of bankruptcy in America. It’s also a matter of work safety: not being insured opens up a multitude of potential risks for both you and your employer. Obamacare was designed to offer substantial benefits and protections for individuals and families. On the one hand, there is the advantage of health insurance marketplaces (or exchanges). 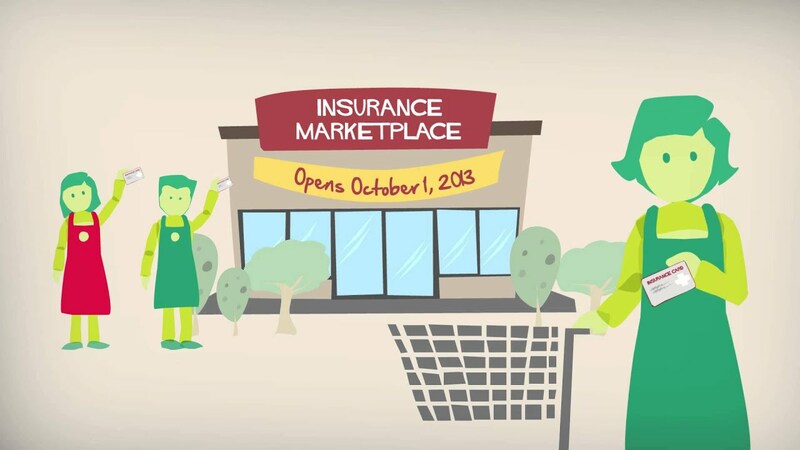 Shoppers are able to compare offers and decide on affordable health insurance companies. This health insurance marketplace not only allow shoppers to find those health plans that comply with the MEC requirements, but also offers cost assistance to those who can’t afford health insurance. On the other hand, Obamacare also mandated that large employers offer healthcare coverage to their full-time workers by 2015/2016. 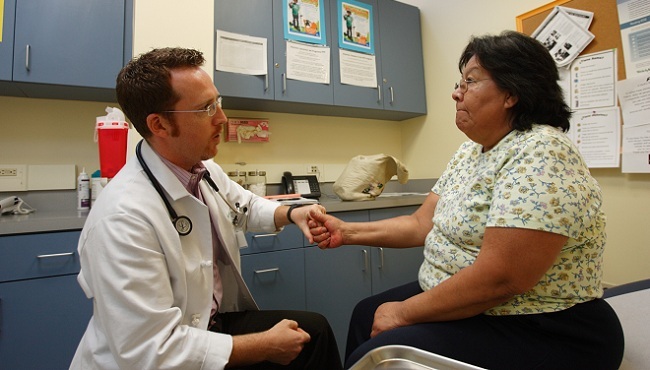 The Affordable Care Act also expanded its eligibility criteria in 26 US states to 136 percent of the FPL (federal poverty level), in hopes that millions of uninsured Americans will finally have access to healthcare. From guaranteeing medical insurance (so that no one can be denied coverage) to ensuring that equal healthcare costs befall shoppers regardless of health status and gender and even preventing insurance companies from withdrawing your coverage when becoming sick, Obamacare was created with the greater good in mind. But even with the best laid-out plans, things can’t always turn out as one would have wanted. Affordable Care Act enrolment has been ongoing and its second phase is about to end on the 30th of April. Prolonging this enrolment phase was intended to solve the issue of the healthcare insurance coverage gap where millions of low-income Americans are now stuck in. Among the Affordable Care Act’s provisions, states were allowed to expand Medicaid to low-income residents. But while some states began expanding their coverage, others (such as California, Texas, Florida and 19 more) decided not to. Consequently, uninsured low-income Americans were stuck in healthcare limbo: they were both ineligible for Medicaid and unable to qualify for tax credits. As opposed to those states which now award tax credits to those residents earning 138 percent to 400 percent of the FPL (federal poverty level), states like Florida and California only offer tax credits to those earning 100 to 400 percent of the FPL. Those Americans who earn less than 100 percent of the FPL fall into healthcare limbo. In total, 5.2 million people are currently in this coverage gap. In order to be in full compliance with the law, Americans are mandated to either maintain the MEC (minimum essential coverage) through the duration of an entire year, apply for an exemption or pay penalty fees for the months during which no healthcare coverage was achieved. There are countless tools which aid you in understanding exactly which healthcare plans qualify as “minimum essential coverage”, however, as a general rule of thumb, all government and job-based insurance plans as well as the majority of private insurance plans qualify. For most Americans struggling to find honest and affordable healthcare coverage, costs and job-related worries seem to be the main concerns. Searching state marketplaces may not be the ideal way to spend your Friday afternoon, but it may be worth it especially if you wish to prevent tax penalties. Even if you don’t know what to do in order to obtain low-cost health insurance, going through your state’s health insurance marketplace may be an ideal way to start. The idea of tax penalties for both 2014 and 2015 may be enough to scare any low-income American out of seeking a proper healthcare plan. Luckily, there are several exemptions which the law allows for and you may qualify for any number of those exemptions. In fact, as many as 90 percent of the millions of uninsured Americans are expected to not be mandated to pay the penalty because of qualifying for at least one of these exemptions. Lack of Medicaid expansion in your state of residence, for instance, is one of these exemptions. As mentioned before, the residents of states unwilling to expand Medicaid coverage are ineligible for subsidies to help cover private insurance costs but can neither qualify for Medicaid. In such a case, you can claim a hardship exemption on your 2014 tax return. Having a low income threshold (below the one which requires you to file taxes) is another exemption case. 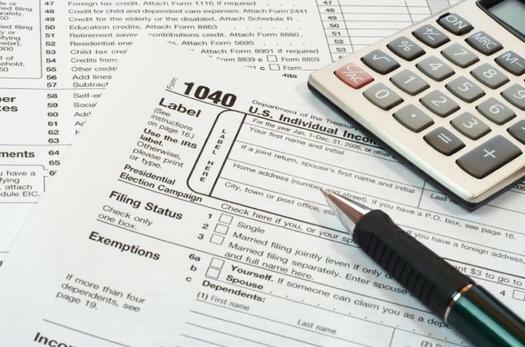 For single Americans with a yearly income of less than $10,150 or married couples with an income of less than $20,300, not filing for taxes also means that they are exempted from the mandate. Healthcare that is too expensive would also make you eligible for tax exemptions under certain conditions. This affordability exemption comes into play when the absolute cheapest healthcare plan available in your state exceeds 8 percent of your income. In other words, even if your family were eligible for subsidies to help pay for insurance but the overall costs of your plan would be more than the lawful threshold of 8 percent (over which insurance plans are deemed too expensive), you would qualify for the exemption. Be mindful of age-related differences! Insurers are able to charge different fees for the same healthcare plans when addressing people of different ages. US residents aged 50 or 60 may pay a lot more than a younger person would. In their case, the cheapest bronze-level plans may be more than they can afford. Another tax exemption to take into account is the “family glitch” situation. Eligibility for this exemption occurs when one of the family members is provided with health insurance via an employer. His entire family is also offered “affordable” health insurance. This in turn makes it impossible for other members of his family to apply for financial help to lower Marketplace coverage costs. Sadly, in such a situation, even if your healthcare plan would eat up as much as 15 percent of the entire household’s income, it would still be considered “affordable”. Only the employee’s insurance costs are considered when analysing the affordability of his or her job-based coverage. Most families in this particular predicament should be eligible for a tax exemption if covering your entire family via employer-based insurance exceeds 8 percent of a family’s total income. Hardship situations are also taken into account when you find yourself unable to find affordable healthcare plans. Being evicted, foreclosed, receiving shut-off notices from utility companies and a plethora of other situations are taken into account. In such hardship cases, applying for the exemption is done directly through the health insurance marketplace. Of course, paperwork is required to support your claims. Do You Qualify for Special Healthcare Programs? Medicaid, Medicare and CHIP are just some of the low-cost, subsidized healthcare options that may finally put an end to your health insurance struggles. Several online tools can help you understand whether you qualify for any of these programs. Simply apply for a health plan through a state-run insurance marketplace. Their built-in filters will inform you of your eligibility and enrolling in Medicaid or CHIP is possible throughout the year. Also make sure that you can qualify for the special enrolment period: marriage, life change, having a baby, adopting a child or becoming a foster parent can all make you eligible. Under the Consolidated Omnibus Budget Reconciliation Act, you are allowed to continue under your former employer’s insurance plan for one-and-a-half years after being laid off. Of course, COBRA isn’t the cheapest of options but it may represent an advantageous alternative especially when you require access to those providers which are otherwise unavailable through different healthcare plans. The average COBRA coverage monthly cost is, as studies show, approximately $490. This may be quite expensive when compared to the individual mid-level healthcare coverage of state-run marketplaces ($336/month). COBRA also applies in other types of situations. For instance, children going off to college may remain on their parent’s healthcare plans. It may be worth considering COBRA in situations such as those described above or if you expect massive medical expenses coming up but have already met your annual deductibles. Under your state’s Worker’s Compensation program, you may already have health insurance. Although it’s often easily overseen, healthcare coverage under this program mandates that your employer suffer the costs of treatment for any injuries which arose as a result of work-related activities. Of course, compensation amounts and duration depend on your state of residence and the type of work injury sustained. There is a catch, though. The moment an employee has accepted his employer’s worker’s compensation insurance, he or she forfeits the right to sue the aforementioned employer. One of the benefits of the Affordable Care Act is the fact that young adults under the age of 26 may continue to appear on their parent’s health insurance plans. Whether they agree to pay the entire sum or whether you have to pay the difference for not dropping you, one thing is clear: it will surely be cheaper than any other individual plan. Even married individuals can still profit from this alternative. There are particular situations when you’re in-between jobs and short term healthcare coverage may be required for that particular period. Coverage gaps are something to steer clear of at any time and this type of solution doesn’t just keep premiums down but also provides the same type of coverage that individual policies do (but for limited amounts of time). Several organizations offer particular benefits to their members and these can include low-cost health insurance options. Alumni Associations and other such organizations offer particular types of plans and although they don’t directly contribute to paying the premiums, group discounts allow the rates to be lower. If you have the time to properly do your research, you can find out which particular organization offers such discounted healthcare plans and join them. Several particular types of health coverage choices are offered to college students and while students cannot qualify for tax penalty exemptions, their health plans usually meet the MEC requirements. Based on individual income, students can qualify for lower income as well as savings. Finding the best-fitted healthcare plan for you and your family can be particularly time-consuming. But there are some factors which work to your favor. For one, different vendors are forbidden by law to charge different fees for identical health plans. As such, all you need to do is carefully weigh all your options. Identify your needs before shopping: what is it that you’re looking for? Should your healthcare plan cover only you or are there additional family members to take into account. Read reviews, search the forums and become active in like-minded groups where information is freely shared. While state-run insurance marketplaces are the first that come to mind, they aren’t the only place where you can find cheap healthcare coverage. In fact, there may be cheaper options you can find if you took the time to look around. Private insurance companies, for instance, offer a wider range of policies on their own websites than on state-run marketplaces. A downside to this strategy is the fact that you aren’t able to directly compare providers for the best policy to cost ratio. If convenience is what you’re looking for, online insurance finders may represent a good starting point. They require you to answer several questions before providing unending lists of options (and many of these options aren’t included in your resident state’s marketplace). Discussing health insurance plans with an agent is probably your best option, especially when saving money is your main concern. It’s ridiculously easy to become overwhelmed by the plethora of options you are presented with. This is where an expert comes in. You have to decide whether to work with an independent agents (brokers) or a “captive” agent. While the former offers insurance plans from several insurers, the latter can only provide you with options from a particular company. What benefits are covered by the insurance plan? What are the monthly premium costs? Are there cost-sharing requirements that come with the plan’s benefits? Which is the breadth of the plan’s network? Objectively analyse whether the presented plan is affordable, if it can truthfully cover the health needs of you and your family, and if the in-network options won’t limit your access to particular specialists or hospitals. There are supplemental health insurance benefits which you can search for when deciding on a plan. While dental and vision care is mandatory for all children under the age of 18, adults have to shop around for those plans including those benefits. Birth control and breastfeeding benefits also qualify as supplemental benefits. Back in 2010, Texas’s Senators John Cornyn and Kay Hutchison both voted against the Affordable Care Act and since Hutchison’s replacement with Ted Cruz in the Senate, the ACA has gained another outspoken opponent. Gov. Perry is also a major opponent of the law and in a state with an overwhelming Republican majority, Medicaid expansions were not pursued. When it comes to the amount of people stuck in the health coverage gap, Texas is the leading state according to recent estimates. The state also has the highest rate of uninsured Americans: 30%, followed by Florida’s 21%. What’s more worrisome is that among the population aged 19 to 49, the rate of the uninsured is 34 percent. 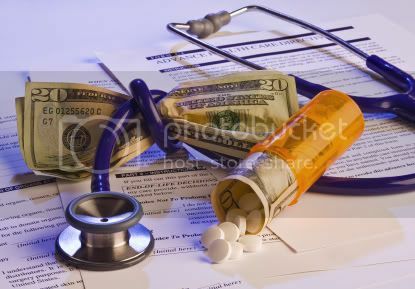 Medical debt is also a massive issue in Texas which is above the 35 percent national average for medical bill issues. And while increasingly more Texas adults struggle to pay their medical bills, seeking appropriate healthcare plans is the only way to ensure adequate coverage. Despite the fact that the Texas insurance exchange hosts a total of 11 carriers, only one or two such carriers actually offer plans in ¾ quarters of Texan counties. In fact, apart from large metropolitan areas located in east-Texas, options are limited. As opposed to most US states, Texas went into the 2014 enrolment period with a massive pool of uninsured people. Out of the potential 3,143,000 enrolees that the Kaiser Family Foundation had estimated, 2,049,000 should have qualified for subsidies. But despite these massive numbers, only 733,757 Texas residents had finished their enrolment by mid-April. Strict eligibility criteria make it almost impossible for low income residents to find the healthcare coverage they require. Non-disabled adults are ineligible, as are adults without dependent children or adults with dependent children and a household income exceeding 15 percent of the FPL. In the end, there is a general consensus that even the 22 states which have refused to expand Medicaid will do so because of economic reasons. A New York University study revealed that a state such as Texas is effectively forfeiting $9.6 billion in federal funding if Medicaid is not expanded by 2022. Fulltime employees in large companies should have health insurance plans offered by their employer by 2015/2016. For part-time employees or those who don’t have group coverage offered by their employer, individual coverage plans offered by private insurers are the first thing to search for. Whether discussing the matter directly with individual insurers or licensed insurance agents, make sure to also thoroughly consult the resources offered by the online federal health insurance exchanges and healthcare.gov. Before focusing on specific healthcare plans, find out whether you or your family qualify for any types of premium tax credits. In Texas, Florida and other states where the Medicaid expansion was not agreed upon, earning between 100 and 400 percent of the federal poverty tax should allow you to qualify for such exemptions. Over the years, New York has made efforts to embrace reform and represent one of the more progressive states. While the Affordable care act has managed to smooth out some of the issue plaguing the NY health insurance market, there are still many issues. A total of 16 carriers offer insurance plans in Ney York’s state-run marketplace. Of course, not all of them issue healthcare coverage in all areas. 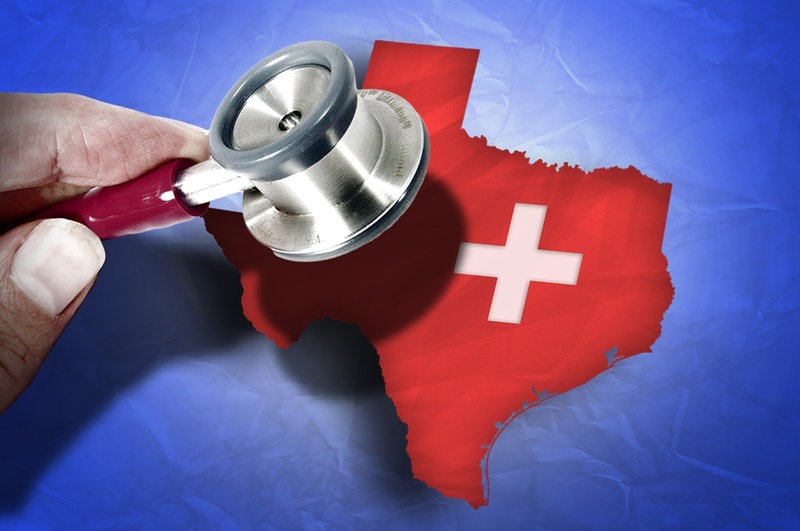 The situation is better than Texas, especially since more than 50% of New York’s counties have a minimum of five carriers offering healthcare coverage plans. New York is one of the states which accepted federal funding in order to expand Medicaid. As a result of this decision, Obamacare contributed to lowering uninsured rates in NY and enrolment continued to increase. Michigan, on the other hand, is a state with mixed support for the ACA. Because of the state’s Democrat to Republican Representatives’ votes (8 yes to 7 no’s) and the fact that a state-run health insurance exchange wasn’t authorized, only a small percentage of the state’s uninsured found health insurance plans. Washington’s elected officials are supportive of the ACA and have actively worked towards efficiently implementing the law. Washington’s state-run marketplace and its decision to expand Medicaid have brought the uninsured rate just shy of 8.27 percent. Illinois also considered adopting a state-run exchange, but in the end, a partnership exchange was implemented. 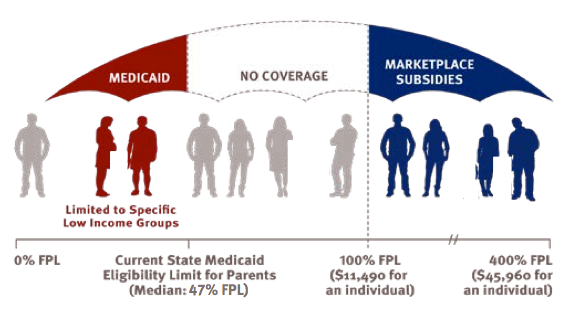 A particularity is the establishment of the Consumer Operated and Oriented Plan Program, which allows non-profit health insurers to offer additional choices to consumers and increase competition by entering the market. Ohio, Arkansas, West Virginia, Kentucky, Colorado, New Jersey (NJ), Vermont, Pennsylvania and 22 others have agreed to Medicaid’s expansion while Alabama, Missouri, Georgia, Oklahoma, Kansas and 17 other states have not. Despite our best efforts of inclusion, there are communities still facing disproportionate barriers to affordable health insurance. But the end-goal is to finally become part of a prospering, healthy and productive community, so these disparities must disappear. 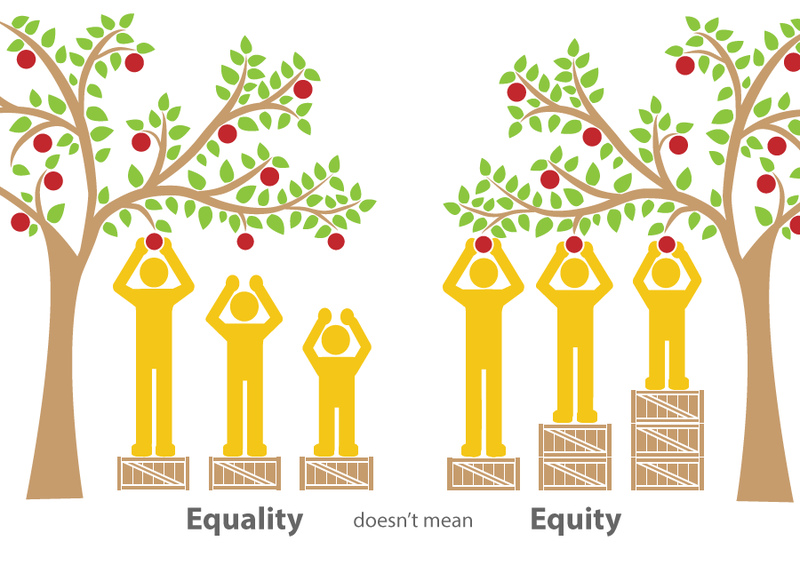 Healthcare equity is achieved when all citizens, regardless of ethnic, socioeconomic and racial background have access to high quality, culturally competent, language accessible, affordable health insurance. Hopefully, the Affordable Care Act will bring the US one step closer to this seemingly unachievable goal.